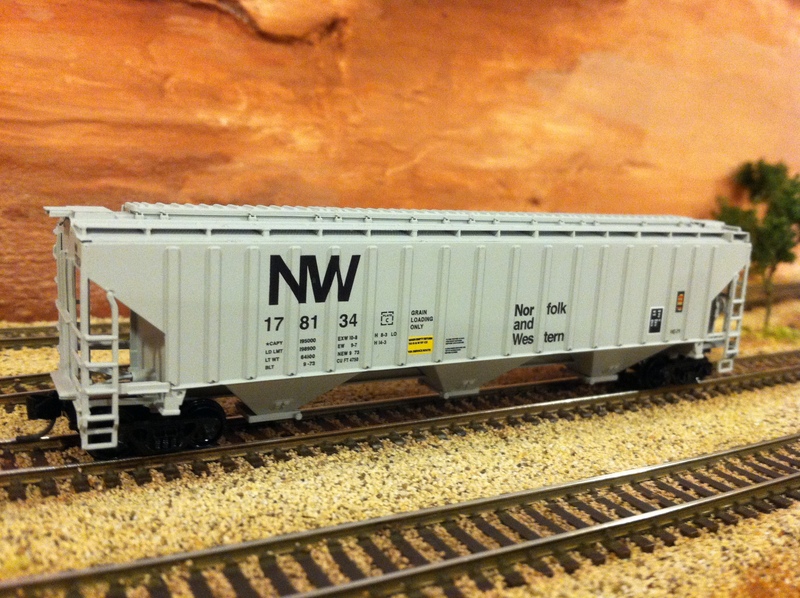 Today I am going to demonstrate how I weather rolling stock. This is my down n’ dirty, quick n’ easy process that I’ve refined over the last few years – if you’re looking for a complicated, highly detailed project that involves an airbrush and an entire weekend, this ain’t it. This takes about an hour, most of which is drying time. That said, my fleet has received a lot of compliments, so maybe I’m doing something right. 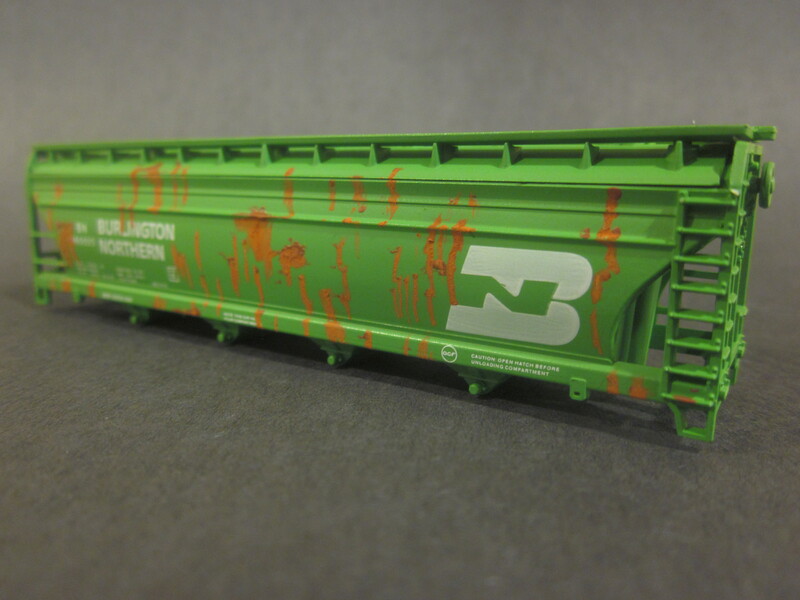 The first step is to carefully remove the trucks and set them where they will stay clean, unbroken, and be found again. The next step is to decide how weathered we want our car to look. According to the marks on the car, it was built in 1973. 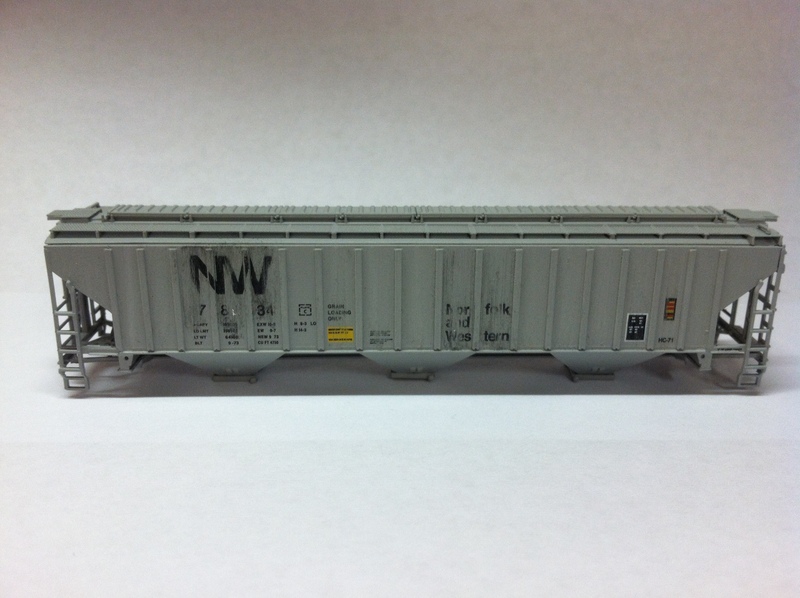 We know that the N&W merged with the Southern to become Norfolk Southern in 1982. Since I model present day, that means we have about 30 years of abuse to replicate. So, we don’t just want the car to look dirty – we need to distress the lettering and add some rust. I use a sanding block to knock the lettering down. Go slowly and check every few strokes until you get to the look you want. If you intend to use the original reporting marks, which I do in this case, tread lightly on the numbers. It is also important at this stage to run the sanding block in between all of the ribs on the side of the car, even the “blanks” where there aren’t any letters. 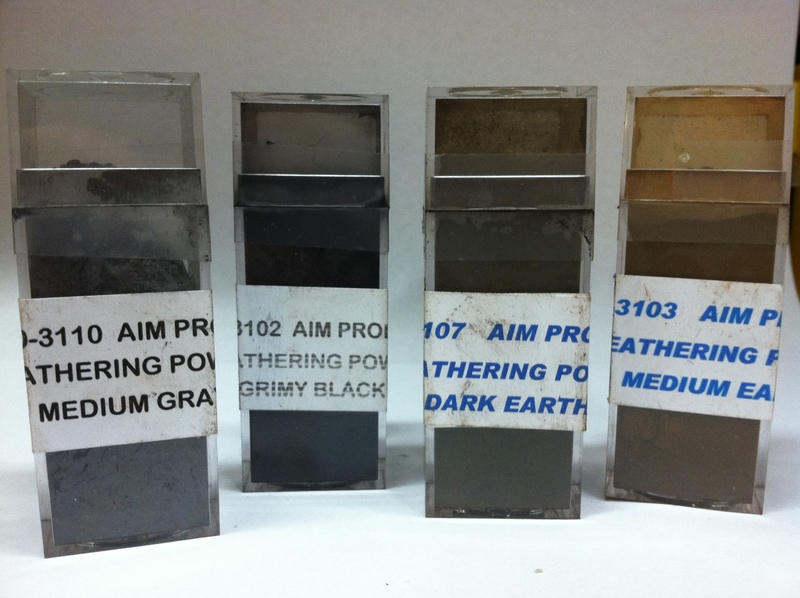 This will rough up the surface and help our weathering solutions “streak” more effectively. 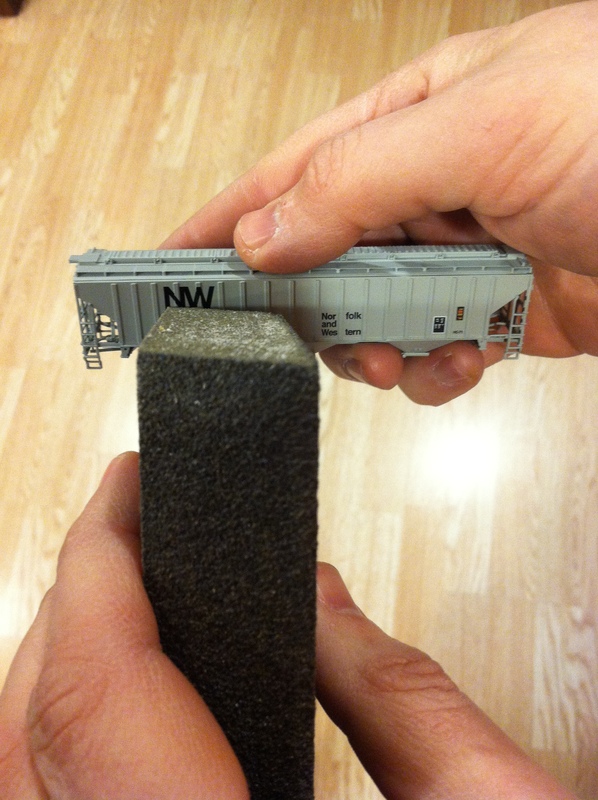 Now we apply our weathering solution. 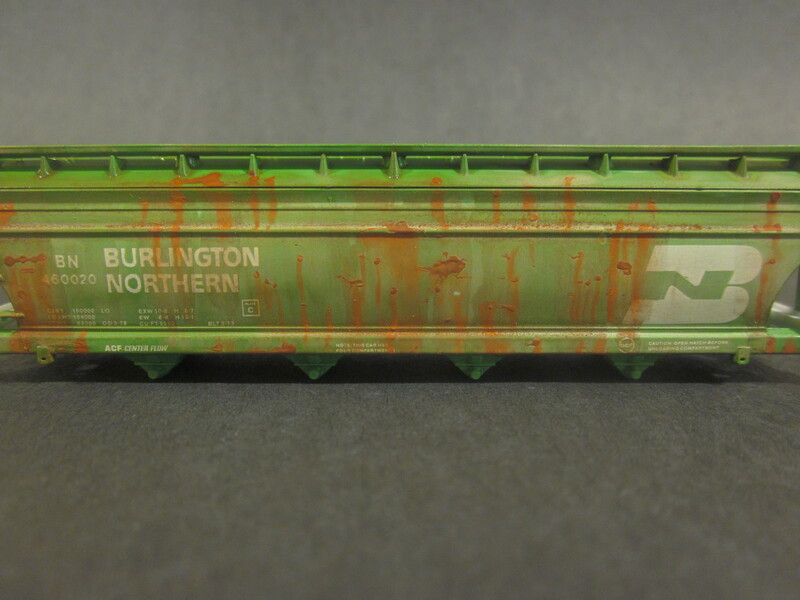 I use a mix of Adirondack brand inks and rubbing alcohol. I buy the inks at Michael’s; I think they are supposed to be used for stamping. Any alcohol-based ink will do, I suppose. I use baby food jars and mix five or six drops of ink to maybe 1/4 cup of alcohol. This takes some trial and error, and I keep a few jars with varying concentrations on hand. 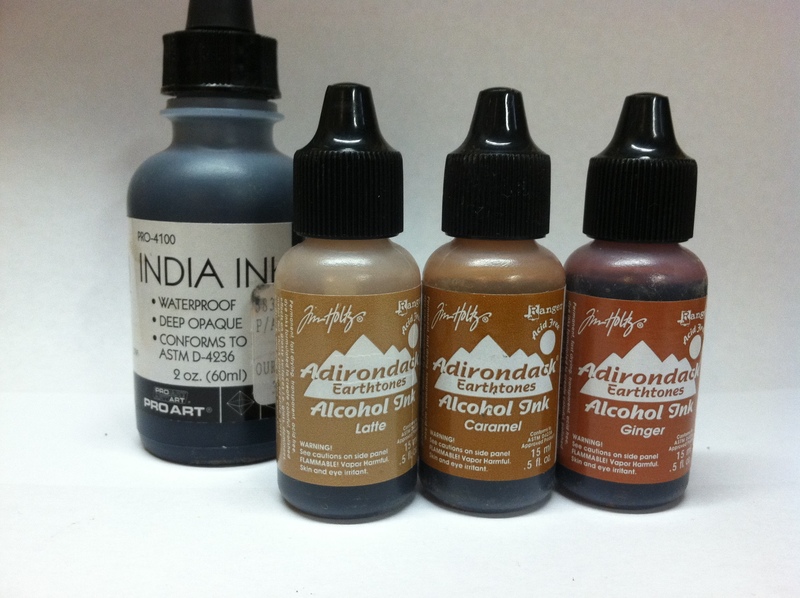 I also have a mix with a drop of India ink in it. I’d love to give you the exact recipe for my solutions, but I don’t have one. I just mix until it feels right. I use a cheap one-inch paintbrush to apply a liberal wash of the lightest solution and let it dry. I then add a wash of darker solution. While it is still wet, I experiment with holding the car upside down, or laying it on its side, so get the distribution of color I want. Now let’s turn our attention to the trucks. 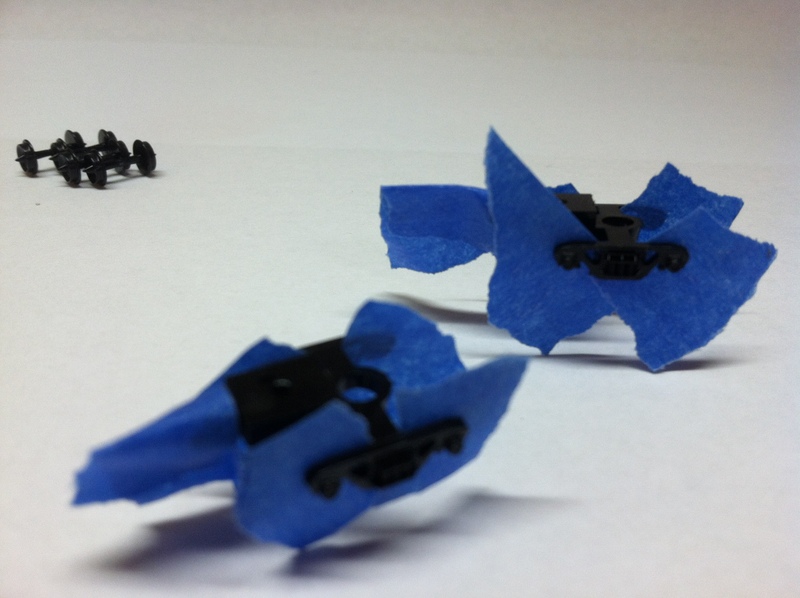 Carefully remove the wheels and set them aside. 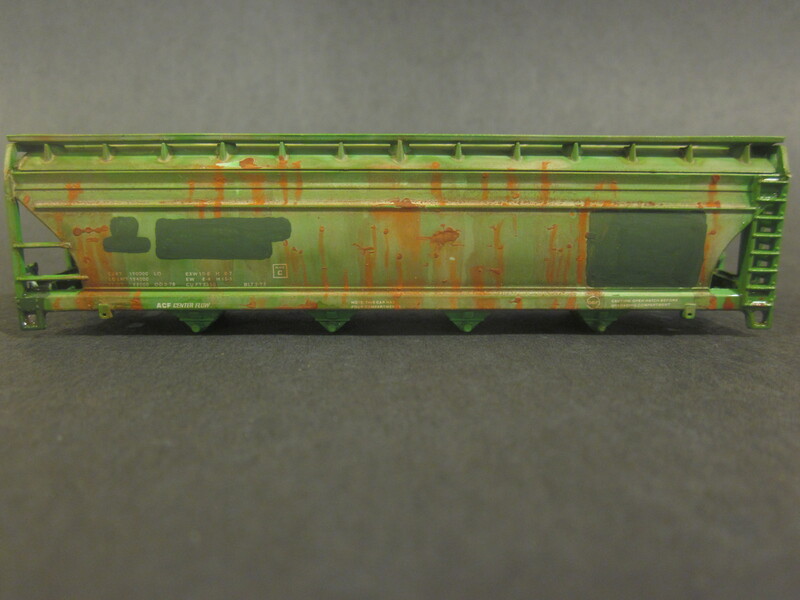 We are going to use weathering powders to add some years to the trucks and bring out the molded detail. 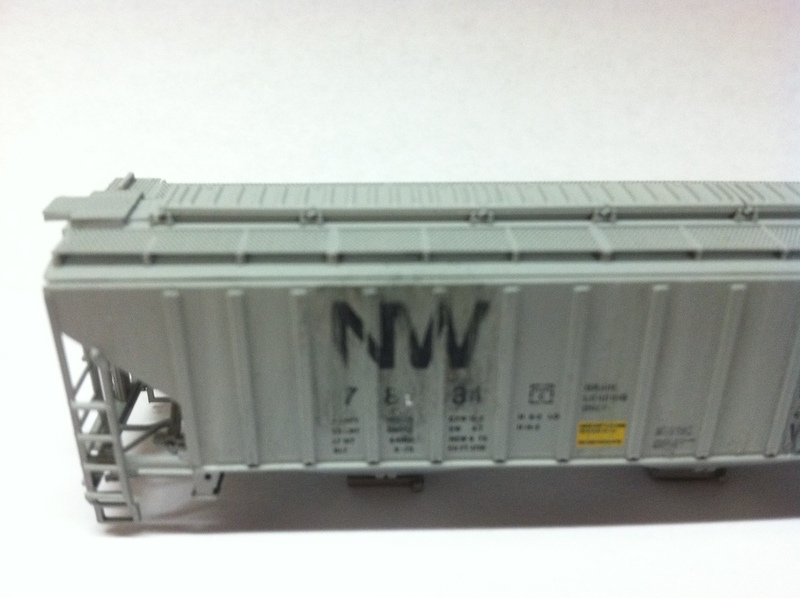 The trucks and wheelsets are acetal plastic, so I hit them with a little dullcoat to give the powder something to hold on to. But first, mask the couplers and the inside of the sideframes so we retain a slick surface for the wheelset to roll in and don’t gum up the couplers. 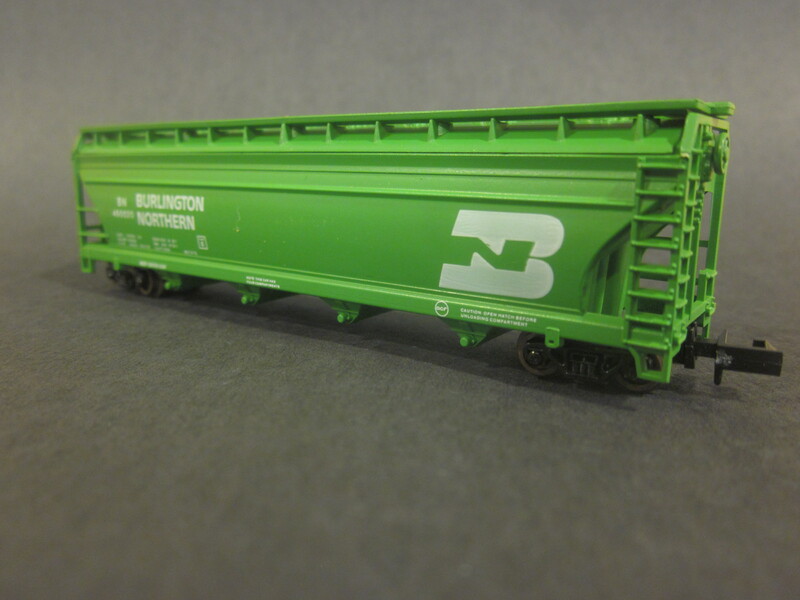 In a well-ventilated area, give the trucks (but not the wheels) a coat of dullcoat. I use the Testors stuff in the spray can. After the trucks dry, I use a stiff brush to dust on gray and medium earth weathing powder to the outside of the sideframes. A note about dullcoat: Sometimes I give the carbody a coat and sometimes I don’t. I’ve found that dullcoat put over my weathering solution makes it look too grainy. But, weathering solution or just plain rubbing alcohol, applied in a wash over dry dullcoat, produces a craized finish that nicely simulates faded paint. 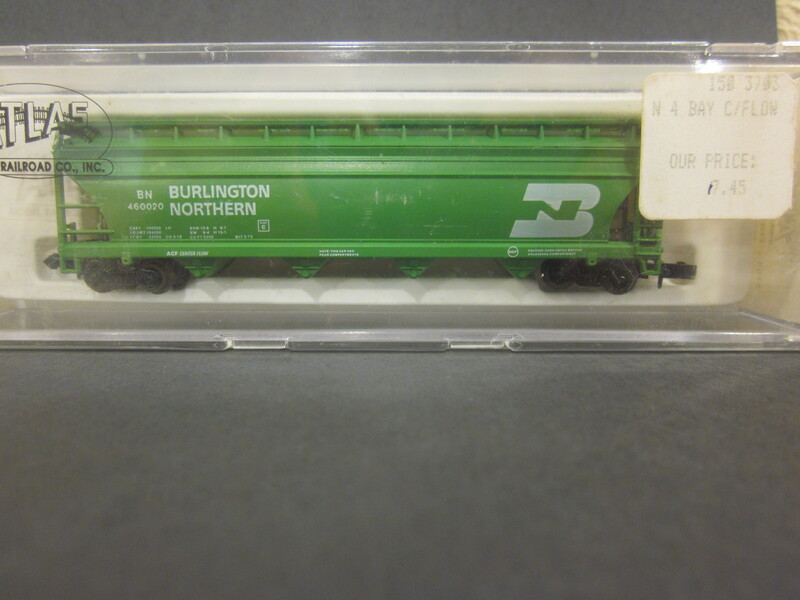 (You can see this effect on the GN boxcar in the “about me” section.) 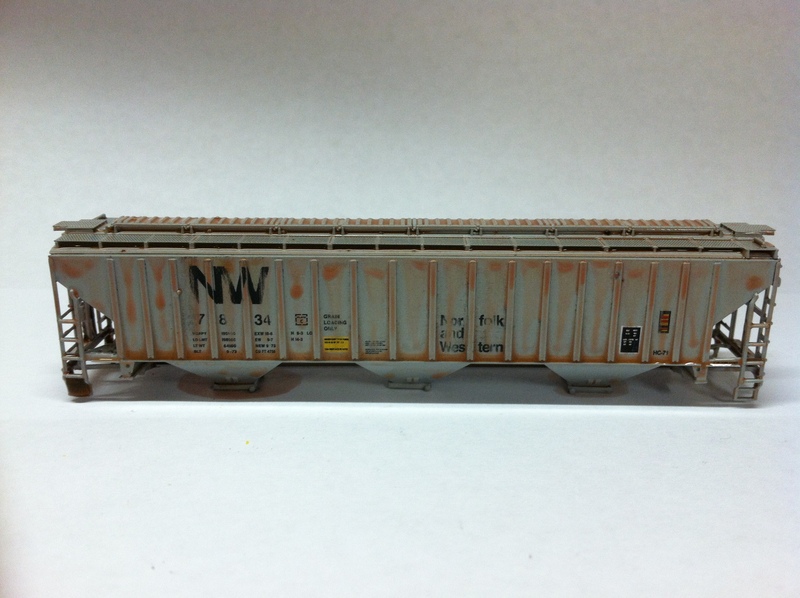 In the case of our N&W hopper, I gave it a coat of dullcoat and didn’t like it (too grainy! ), so I applied another wash of the light weathering solution, scrubbing a little with my brush to loosen up the dried stuff. After everything dried, I reassembled the car and turned it loose on the layout. 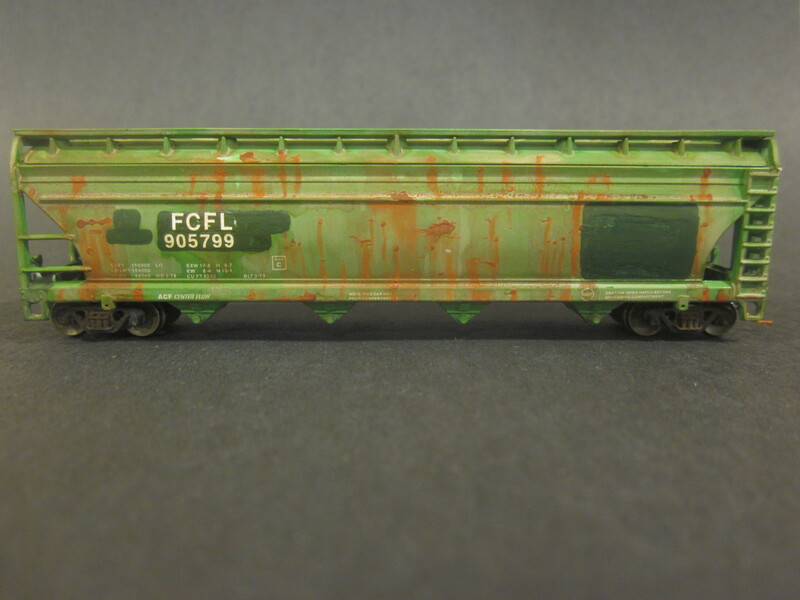 I think the hardest thing for some people about weathering is fear. 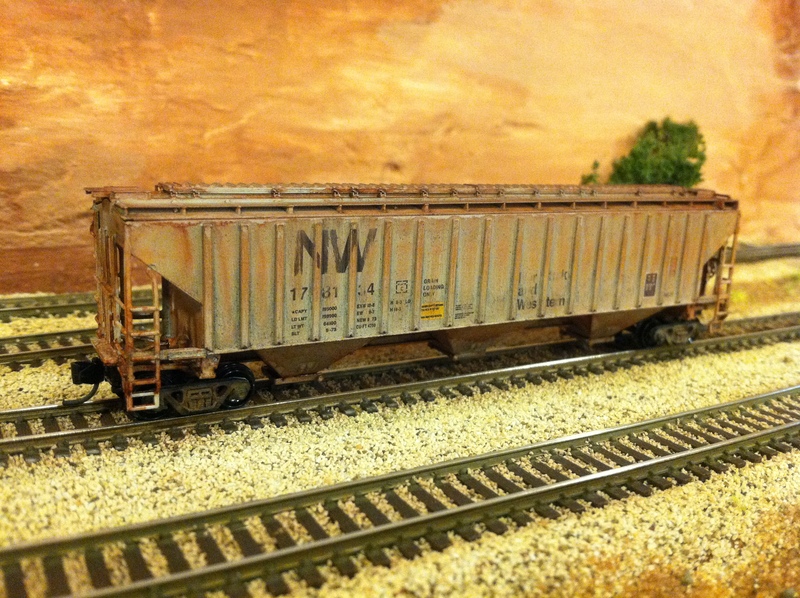 I just paid $30 for this Micro Trains boxcar, I’m not taking a sanding block to it! 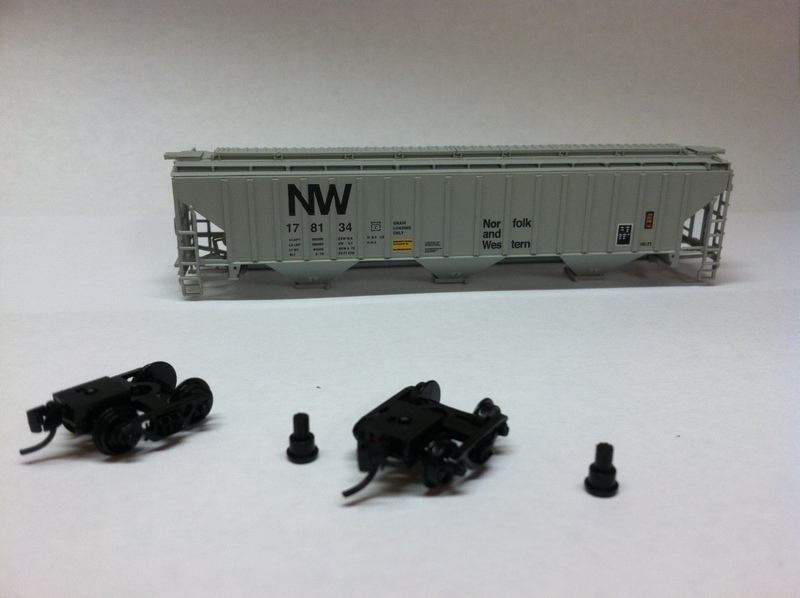 Well, don’t start with your $30 Micro-Trains stuff. Get a cheap car and experiment until you build some confidence. 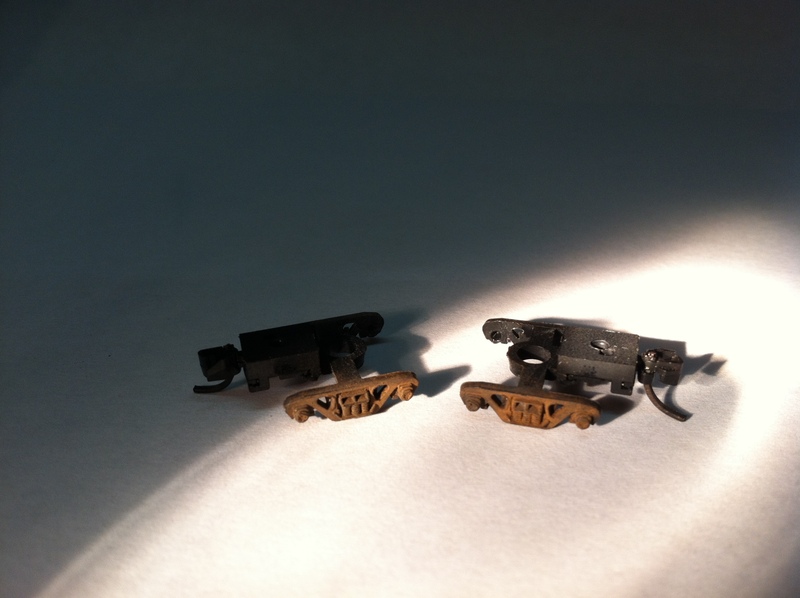 Weathered rolling stock – as well as weathered buildings, weathered track, weathered vehicles – adds a very satisfying element to any layout.